 I have the following sets to be sold. 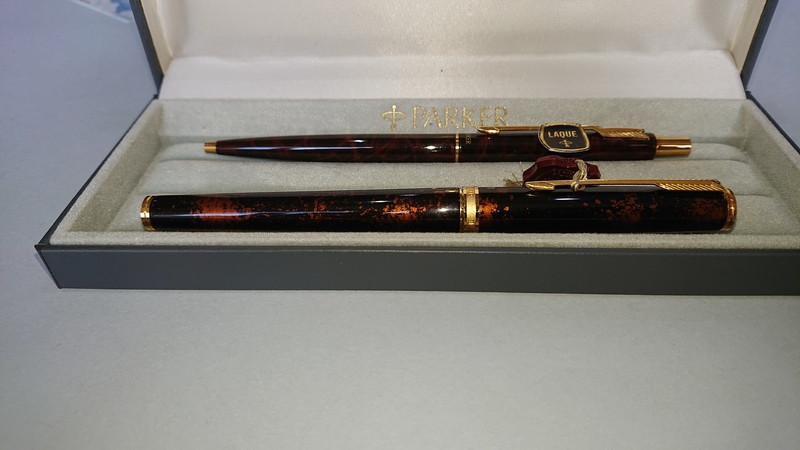 1) Parker Premiere set, the fountain pen has gold medium nib and it is in Chinese lacquer, the ballpoint pen is still in lacquer but of different type (I am not sure that they compose a set, but I received these pens together). 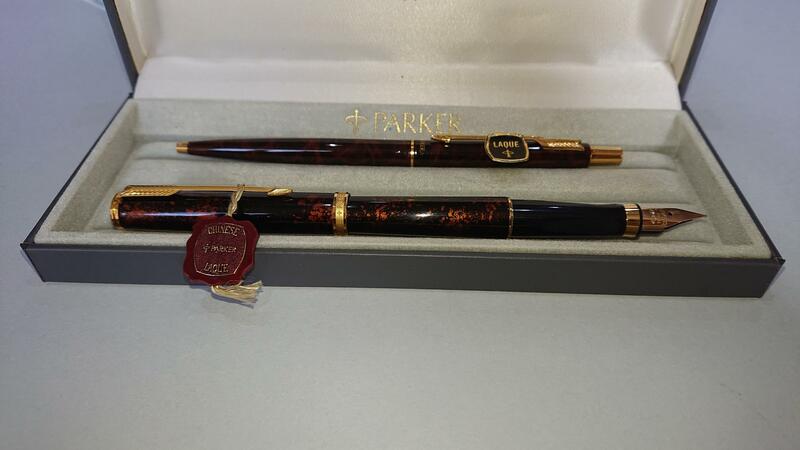 Both pen are in very good condition, in particular there are no scratches on the lacquer. 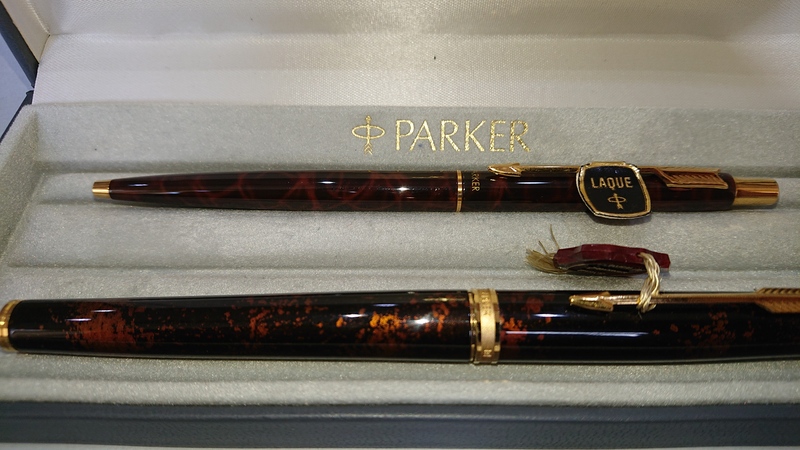 Price is 180E. 140E. 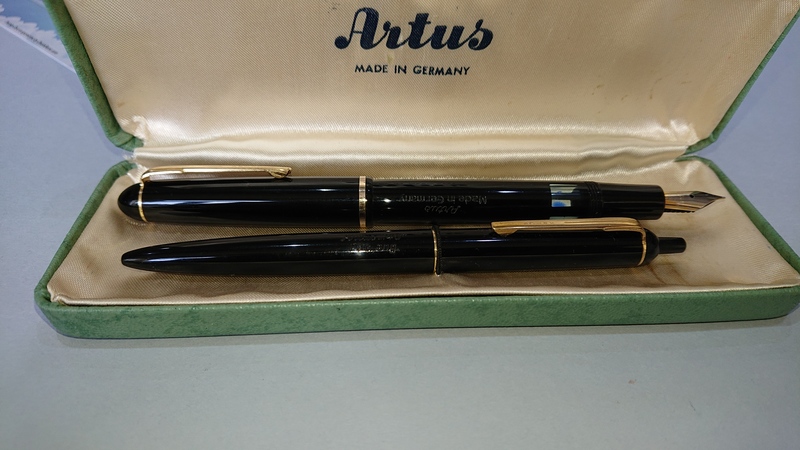 2) Artus set, the fountain pen is a 42e model, with a FK gold plated nib. 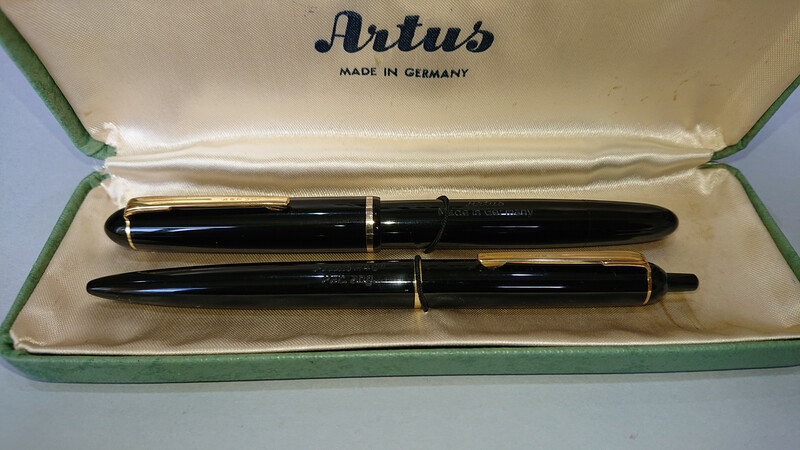 The pens are in good condition, but the nib is loosing the plating. Price is 60E. 50E. Prices do not include shipping cost, payment by PayPal (or if you like and you are in EU by bank transfer).